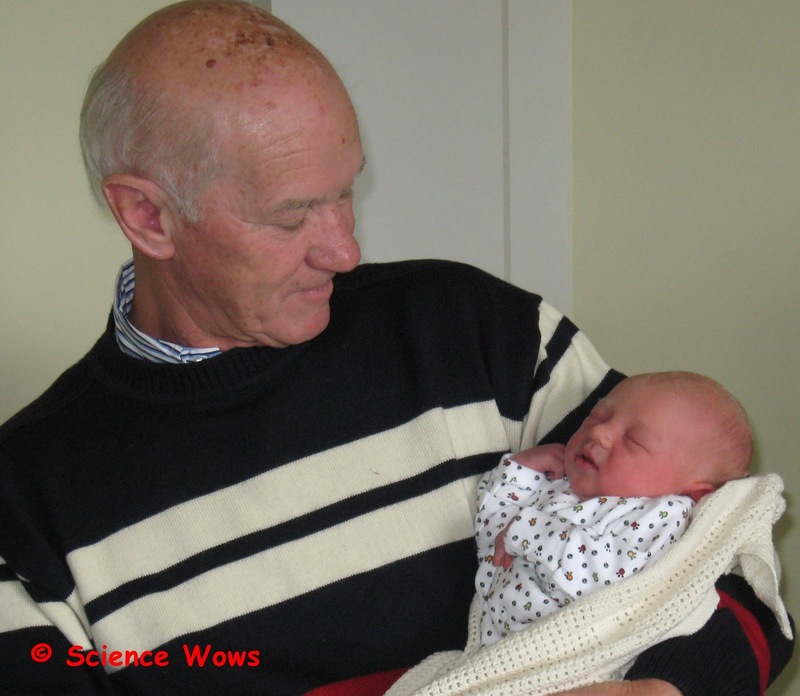 Dr How's Science Wows: Father's Day tribute - and the science behind the bond! Father's Day tribute - and the science behind the bond! It is Father's Day here in Ireland. A day to reflect on our own bonds and experiences with that special man in your life that has known you since birth! My own story is a wonderful one, my Dad and I are very close and my life memories are filled with lots of special moments with him. ...the lovely way he explained to me how special I still was to him when my little sister was born! ...the day he took off from work and brought me to Galway to see what a nice place it was... this was after I got my "Leaving Cert" results and realised my dreams of becoming a vet were gone... he knew me well enough to know not to try to talk me out of my "depression" but to open my eyes to other possibilities in a different way! Considering I have now lived in Galway for most of the past 24 years, I think he can chalk that one up as a success! ...the way he stayed up all night reading my PhD thesis when I first showed it to him... and I mean ALL of it... he even had the typos and edits ready for me the next day! ...the way he treated every drawing, every card, every poem I gave him as a child as an amazing work of art... in fact it seems he still has them all! ...the way he is still the one I go to for advice! ...the way the sound of his voice will still make me cry if something has just upset me. ...the way I can see our bond live on with his relationship with my children! So I thought today would be a good day to reflect on what a wonderful man he is... and to take a look at the science behind the bond between a father and his children. A lot has changed in a father's role since I was born. My Dad was certainly not present at my birth, he was at work and came to see me once he got the call that his first daughter was born! By the time my own children were born things were very different...my husband was not only present at their births but was actively involved in the whole process, he was my "hypnobirthing" partner and helped me stay relatively calm and focused throughout each birth! My Dad was also not as "hands on" as most men are now... nappy changing, bottle preping and the like were not really part of his repertoire. However there is no denying the strength of the bond he has with all three of his children. Research is still ongoing into the reasons for these hormonal changes and more importantly the role they play in forming and strengthening the male parental bond. It is possible they play a role in calming fathers, in increasing their sensitivity to the smell and touch of their young children and in encouraging more play and interaction between father and child. In other words they may help dampen down the aggressive side of the male and bring out his "inner child"!